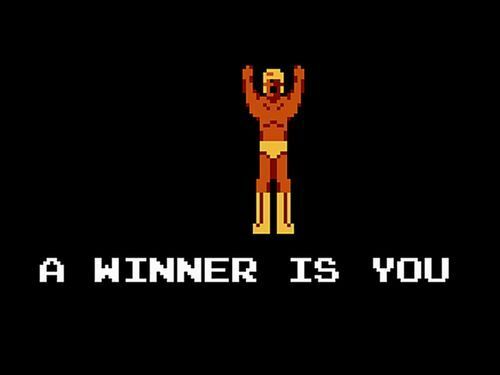 update: a winner has been randomly chosen and notified (manekochan from the comments section). thanks to all who left comments/sent emails detailing their favorite slasher film. jason, michael, and chucky films were all well represented… as were lesser known slashers such as THE PROWLER, SLUMBER PARTY MASSACRE, and BEHIND THE MASK. oddly, no ELM STREET movies were mentioned… but maybe the remake disenchanted some peeps and they’re trying to avoid thinking about freddy for a while. despite being a consistent cash cow, the slasher film sub-genre doesn’t get much mainstream attention, and when it does it’s usually negative. while it’s easy enough to find slasher films to watch, trying to find books or documentaries focused specifically on the genre will quickly lead you to discover only a few exist, and you can count the ones worth your time on one hand. well, get ready to use that other hand, because THE SLASHER MOVIE BOOK (aka TEENAGE WASTELAND for our friends in the UK) is now available for order, and after looking over a copy for myself, i can honestly say this is a ‘must-own’ for any fan of the genre. j. a. kerswell (founder of hysteria-lives) has put together a visually stunning, well-written and comprehensive love letter to the slasher genre. many books of this type will either be too text-heavy with few or no images to accompany the text or simply be a gallery of cover art with a few sentences added in as an after-thought. 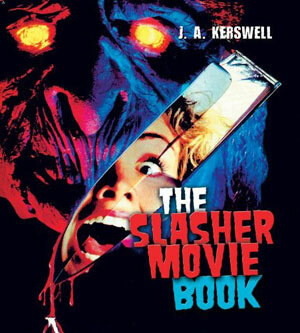 THE SLASHER MOVIE BOOK seems to be an almost exact 50/50 mix of text and images that perfectly compliment each other. the text is passionately written and covers the slasher film from its early roots in other genres, year by year through the golden age, through its rebirth in the 1990s and then all the way to the 3D and remake craze we’re experiencing now. while jason, michael and freddy all get attention (as they should), the book references a wide range of films, including both hidden gems and neigh unwatchable garbage. the screenshots and posters are distinctively stylized and creatively laid out, and often feature images i’ve never seen before, whether they be foreign posters for films i’m well versed in or for films i’d never heard of (of which i was humbled and delighted to discover there were so many of). if you’re reading this site, then there is no doubt this book is for you. if you like, head over to amazon right now and order a copy. choose expedited shipping — you won’t regret it. however, if you’re more the patient sort, then there’s another option — you could get a copy for free! we’re having a little contest to give away a copy, and all you need to do to enter is email me the title of your very-most-super-favorite slasher film of all-time and a short explanation of why it’s your favorite. please email entries to corey@evilontwolegs.com or leave your answer in a comment below (please use a valid email address). Is HATCHET a Slasher Film? This entry was posted in Collectibles, Literature, Slasher Films. Bookmark the permalink. I was reluctant to answer this because I am not a huge slasher fan. My favorite is “Behind the Mask: the Rise of Leslie Vernon” partly because half of it is not a slasher at all. ^^; I love that it tries to explain other slasher movies, I love the fun of Leslie’s personality and the silly “in-jokes” that he makes, and I love the little love story that eventually turns sour. Hell, I even love the use of The Talking Heads over the credits. All around, this is my favorite because it puts a very human, likeable face on the monster… and he still kills everyone anyway. I was fortunate to grow up on all the good stuff on the Big Screen Yes I saw movies like Phantasm and Dawn Of The Dead and Rabid at the drive in movies on date night:) My two fave slashers are Micheal Myers and Jason Vorhees in that order. I do have a soft spot for Slumber Party Massacre and the original Black Christmas. Micheal is my fave mostly because the original has the lighting perfect. Jason scares the crap outta me, he is relentless, your gonna die if he is after you. When he invades my dreams I know I AM toast:) I watched the original Friday the 13th in the cinema with my Best Friend, she hid her eyes when Jason came up out of the water and I screamed and dumped my box of candy all over her. heh heh good times!! !